Hello and happy Monday, lovely blog readers! (Oops–accidentally typed “reader” there. Think my subconscious knows something I don’t?) I did promise you a crazy signs edition to wrap up my RWA coverage, and, I must say, this might be my favorite post of RWA. 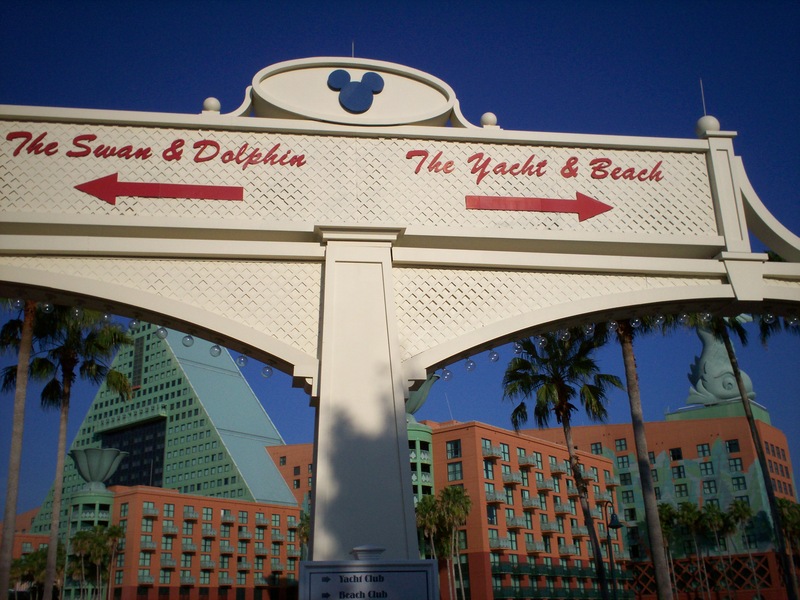 I don’t know why, but so many of the signs of the Swan and Dolphin, DisneyWorld (and surrounding area) and even the Denver airport just tickled me to no end. I know–I should have been taking pictures of the people, the outfits, the fabulosity that is Nationals, but no. I take pictures of signs. Next year I’ll be better–pinky swear. So, the first sign picture was going to be me and the “Hello Florida” sign, but I figured even as much as I loved it, you were getting sick of it, so let’s move on to something better, shall we? It’s hard to go wrong at a place that is so active in wishing you happy thoughts. 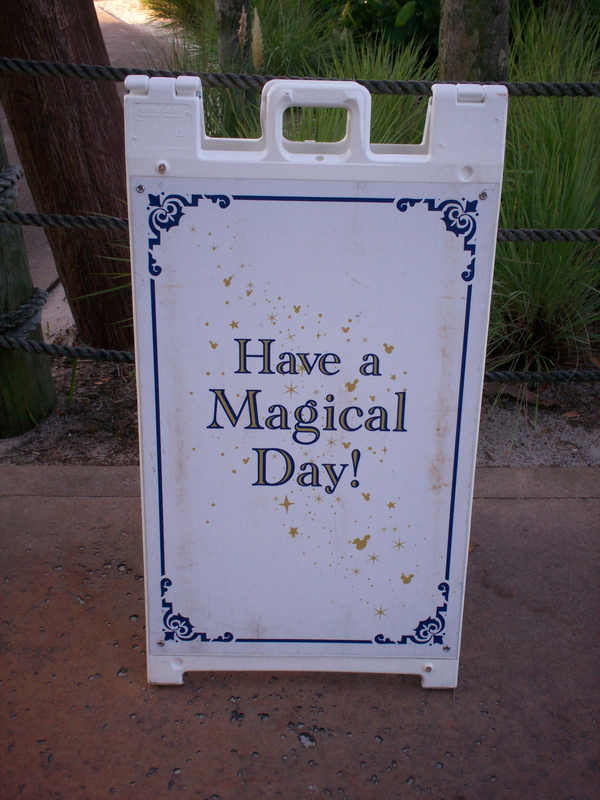 I mean, wouldn’t that be an awesome job–the “Magical Day” sign wrangler? This one cracked me up because I could just picture some direction-challenged tourist (*kaff*Mom*kaff*) looking at the sign and asking out loud, “Now where is the Dolphin?” and totally missing the huge stone fish just a few degrees off center. Saw this one at Hollywood Studios. 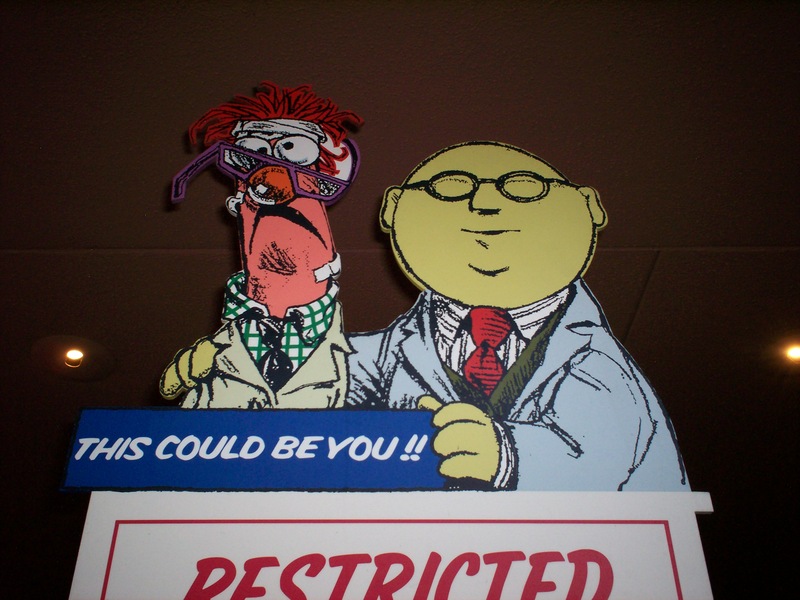 All I can say is I’ve been Beaker more times than I can count. This was also at Hollywood Studios. 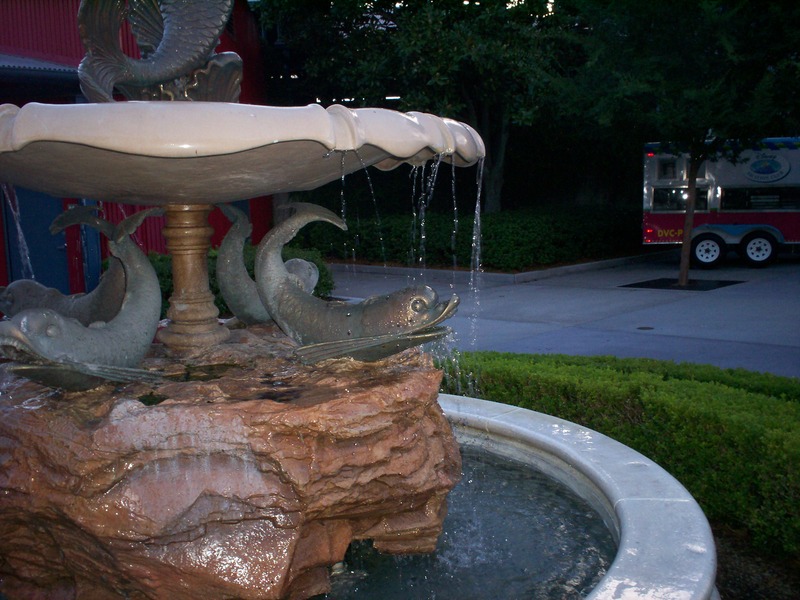 No, it’s not a sign (it’s the Little Mermaid fountain) but that “fish” just made me laugh and shudder at the same time. Is it a dolphin that takes the short bus? Is this Flounder or Nemo’s backwoods cousin? Can Disney artists just not get the concept of a fish? (There was quite a Twitter feed on the less-than-accurate dolphin statue gracing the Dolphin resort.) Call me odd, but I had to share it. And since steampunk was causing some buzz at RWA, when I saw this sign at the Denver Airport, I knew I had to get a shot of it. C’mon–just say it out loud. Elevator Machine. It sounds so deliciously steampunky, doesn’t it? My other shot from Denver. I’ll let this one speak for itself. And, once again the “Magical Day” wrangler has struck. To each and all, I wish you a magical day and wonderful week! Fish? Come on Pam, you know better. Dolphin = mammal. Do I need to launch into lecture mode? But those ‘dolphin’ statues looked to me as 3D versions of the kind that appeared on old Pirate maps and such – whimsical, but not accurate. We did run into a friendly (and real, I must add since it’s Disney) rabbit on our way back to the Swan one night. Behaved more like a city pigeon than like the rabbits in my neighborhood. Still, I wouldn’t call him a pest. As to insects, did you notice there were none? FL: humid, hot… shouldn’t be able to navigate the outdoors without meeting one there. Let’s just hope it’s not an organophospate. As to Beaker, he’s the best. Love him. How could a geek not? 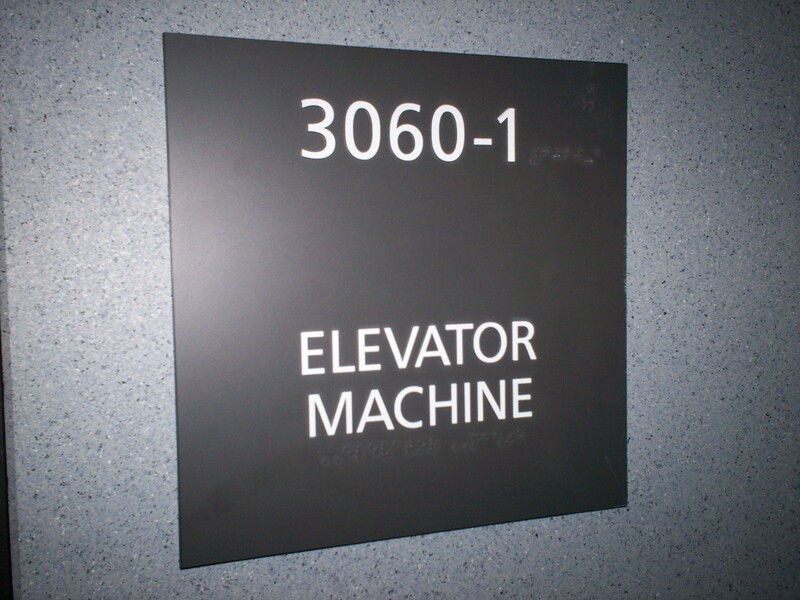 And ‘Elevator Machine’! My new term. Someone should run in there with those brass gears and start gluing them on the sign. I love ‘Elevator Machine’ too! LOVE the photos, Pam, and LOL about the “Elevator Machine”. 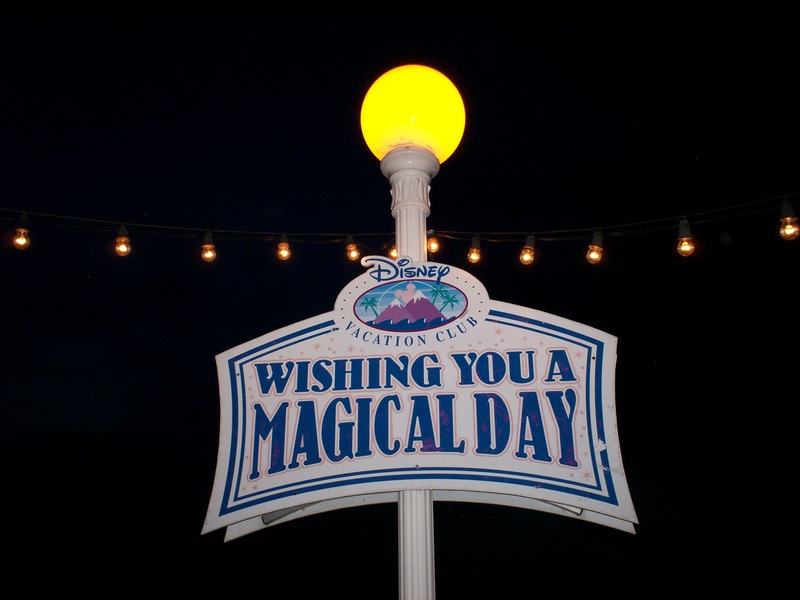 🙂 Fun to see the “Magical Day” signs again–I really got a kick out of that one in Orlando! Am I the only one who laughed at the tornado shelter sign? Of course my other quesiton is just how many tornados does Denver get that they need a shelter? Oh and BEAKER!!!! I love Beaker! Second favorite Muppet behind the Swedish Chef . I never noticed the lack of bugs at Disney, but I did see plenty of lizards, maybe they’re the real pest control specialists? 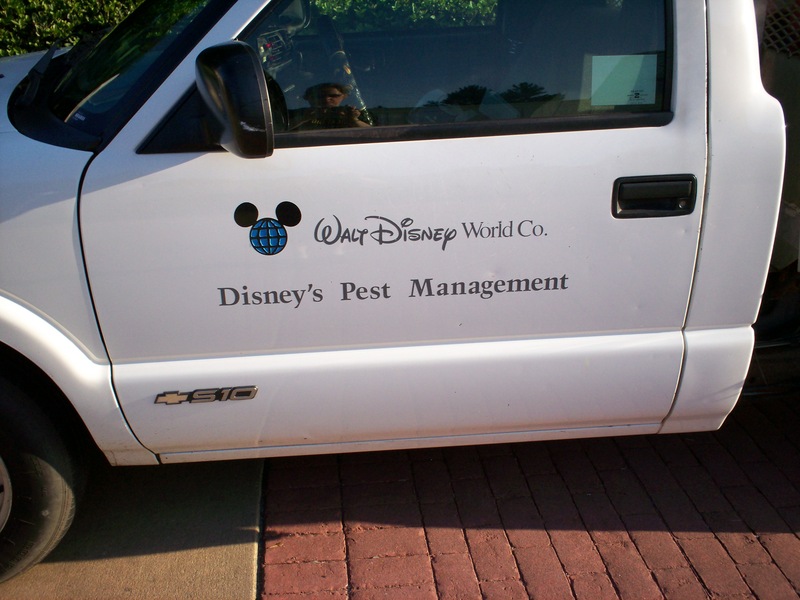 What if the guy who drove that Disney pest management truck doesn’t have the job of getting rid of bugs…instead, what if his mission is to rid the parks and resorts of the really annoying tourists…with malice!!!??? Coffee–now you know why I took the picture! 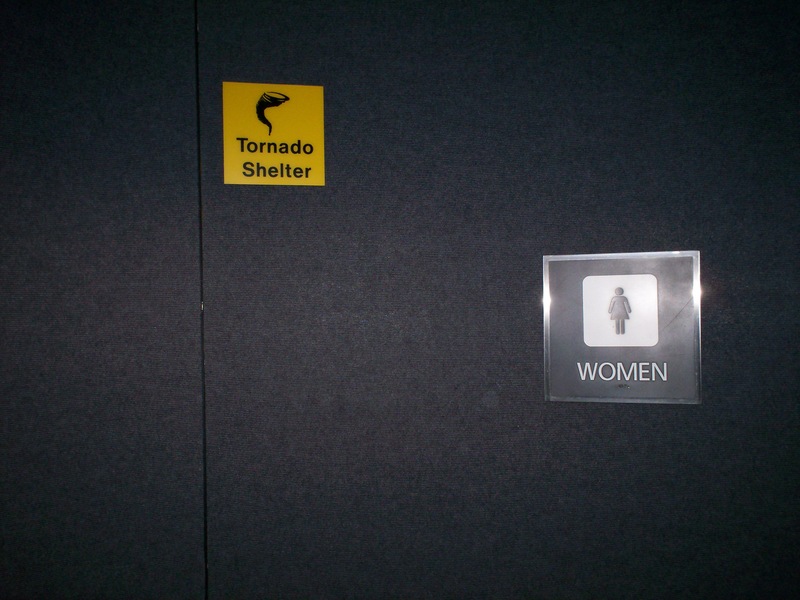 If a tornado was coming, I don’t think I’d know to run into the restroom, ya know? Heather–interesting thought, very interesting. The pests are critters, the pests are people! Move over soylent green!! BTW I’m the tourist who would have read that sign and then NOT been able to locate The Dolphin. I don’t have a bad sense of direction. I have absolutely no sense of direction. Such a fun post! I miss everyone now.